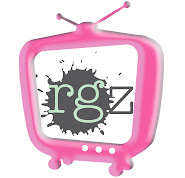 We're honored to have Lyn here as part of the rgz SALON, a feature where four of the top kidlit experts clue us in to the best YA novels they've read recently. 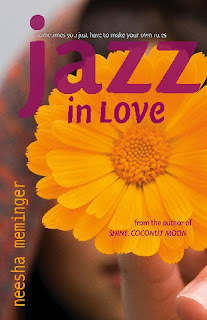 Today, she reviews Jazz in Love by Neesha Meminger (Ignite Books, NY, 2011). "Like the music and film industries before it, the publishing industry is changing quickly. Consolidation of publishers and imprints has led to bigger books and fewer choices in terms of genre and subject matter, at least from traditional channels. However, it’s become cheaper and less risky for smaller presses and writers themselves to publish, leading to a large, chaotic, and diverse universe of independently published books. "Big Six publisher Simon & Schuster brought out Neesha Meminger’s debut YA novel, Shine, Coconut Moon, which I reviewed for Readergirlz Salon in November 2009. For her second novel, Meminger has chosen to join the growing indie publishing movement, and the impressive quality of writing and design that characterizes Jazz in Love bodes well for authors with unique stories who choose to go with small presses or strike out on their own. "Seventeen-year-old Jasbir Dhatt, a top student with strict immigrant parents from India, juggles three boys, her parents’ ambitions for her, and her quest to reunite a family friend with her first love in this humorous, fast-paced novel. When her parents catch her hugging classmate and friend-since-kindergarten Jeevan 'Jeeves' Sahota, they are so outraged that they begin a Guided Dating Plan to find a more appropriate match. Even though Jeeves, like Jazz, is in the FSL (Future Stars and Leaders) program at their suburban high school and his family is wealthier than hers, he is of a lower caste and thus unsuitable. (Although the families are Sikh rather than Hindu, caste is still important to Jazz’s traditional parents.) The arranged suitor, Gurmit, turns out to be far nicer and more interesting than Jazz expected, but he’s also gay, a fact both he and she must keep secret. Meanwhile, Jazz finds herself attracted to 'bad boy' Tyler R., a transfer student whose family, though of Indian heritage, hails from Trinidad—a place of origin considered inferior by 'Indian Indians' of all backgrounds. When all the plans unravel and the secrets come out, Jazz discovers that she is far more resilient—and has far more options—than she first believed. "For most readers, Meminger offers a fascinating window into Punjabi-American lives that also weaves in cultural information seamlessly and offers opportunities to compare and contrast one’s own cultural limits and expectations. Readers who share the cultural background of the characters will recognize the generational divide between traditional parents and children who have adopted the ways of the new country, as well as the diverse experiences of an Indian diaspora that includes England and the Caribbean. Meminger has a pitch perfect ear for dialogue. Her teenage characters talk like teenagers; her adult characters sound like adults; and she captures the vocabulary and inflections of immigrants from India and visitors from England and Canada. While the book begins as a romance, it takes some unexpected turns that lead readers to examine the difference between love and lust. I love the idea of a publisher focusing on diversity, gender equality and social justice! And Neesha is divine--can't wait to read this one. I adore Neesha Meminger and I can't believe a big publishing house wouldn't have gobbled this book up. I guess the 1 minority book per list rule still exists. Sigh! I'm glad she had the gusto and resolve to do it herself. This story had to be told. So excited! I can't believe a publisher wouldn't pick this up either. Me, too, Melissa! Thanks, Lyn! Thanks to the UW Information School! 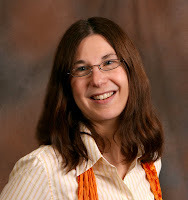 Story Secrets: STORK by Wendy Delsol + giveaway! The ALA's Youth Media Award Winners! The Chosen One: How Do You Generate Hope?